Interested in serving as a priest in the Killaloe diocese? 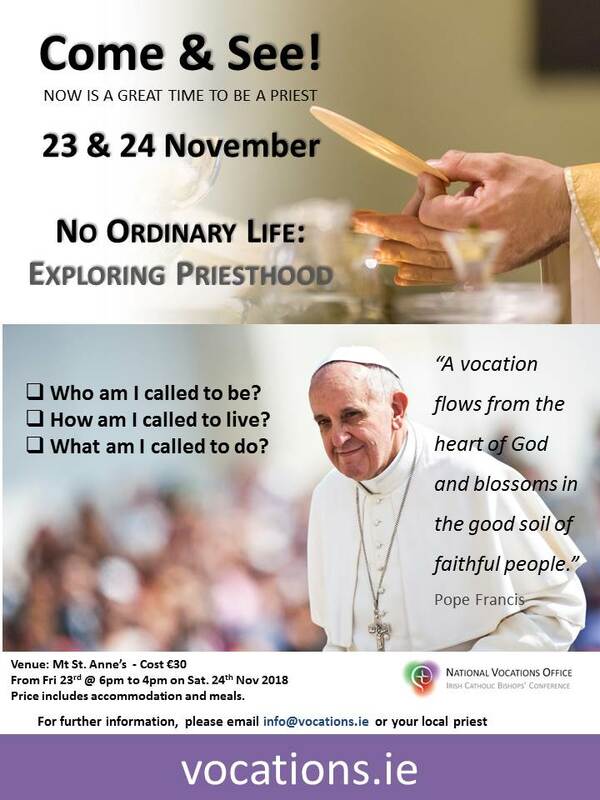 A National Vocations workshop will be held in November. Details on the links below. Another Provincial Vocations Workshop will be held in Spring, 2019.